Eric Watson is responsible for providing the vision, strategy and leadership across all divisions of MasterBUILT Hotels. Previously, Eric was Vice President of Superior Lodging Corp. – a founding partner in MasterBUILT Hotels – where he played an instrumental role in incubating and building MasterBUILT’s development and hotel operations to the point where they are now while also establishing Microtel Inn & Suites by Wyndham as one of Canada’s fastest growing hotel brands. 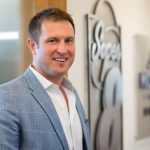 Eric has spent the previous 12 years in the resort and hotel industries in executive leadership roles delivering impressive growth and profitable returns for entrepreneurial companies and investors.